Atlanta EV Sales on TOP! Why Are Electric Vehicle Sales Booming in Atlanta? Last July in San Jose, Don Francis gave a talk about one of the country’s surprising new leaders in electric vehicle sales: Atlanta. Titled “What is driving the fastest-growing market in the U.S.?,” the presentation was for a member meeting of the California Plug-In Electric Vehicle Collaborative. Its location — only miles from Tesla Motors’ HQ — was a likely spot, at the nexus of Silicon Valley and the Bay Area where EV sales have long topped national charts. That was before the Peach State bested Washington and California as “market share” leader, meaning that it had the highest percentage of EVs to total new cars sold in 2014, as of September. California still leads in total numbers of electric vehicles sold, Francis says, estimating that there are more than 100,000 plug-in vehicles registered in the Golden State and only about 15,000 in Georgia. The state is definitely playing catch-up, but, as Francis’ talk indicated, they’re moving fast. And with Atlanta the country’s number one metro market for the Nissan Leaf (beating out even EV-lovin’ San Francisco), something’s happening, even if no one’s entirely figured out what. The most obvious contributor is the state’s hefty tax credit — $5,000 — compared toCalifornia’s $2,500 rebate. “But Colorado has a $6,000 tax credit and it’s not happening there,” Francis says. He has several theories, all of them factors that might not drive EV sales alone but together add up. First there’s the state credit, on top of the federal tax credit of $7,500. A Wall Street Journal article in June claimed that, after the state subsidy and gasoline savings, a person could theoretically pay about $28 a month to lease a Leaf in Georgia. Francis says that figure is low, factoring in the cost of electricity and other fees. A Leaf driver himself, he says the average is probably between $50 and $100 a month — still remarkably low. Second there’s metro Atlanta’s sprawl. Because the area is so spread out, most people commute to work in a car by themselves. The mean travel time is almost 30 minutes. (Note: That data is for Atlanta’s surrounding county because the city of Atlanta is only a small part of the metro Atlanta area). In San Francisco by comparison, less than half the population drives to work. So Atlanta has a lot of traffic. Driving an electric vehicle gives you access to HOV lanes and gets you out of paying HOT tolls, another cost-saver. And then there’s the fact that enthusiastic drivers are the best advertisers; they love to talk up their fuel-free commutes. “We find that once you have one or two people in a neighborhood driving a Leaf, they share stories about the benefits with friends, family and coworkers, which leads to additional sales,” Brian Brockman, a spokesperson for Nissan, writes in an email. Ahmet Abaci, who lives in Johns Creek, northeast of Atlanta, bought one in May. He agrees that sheer visibility plays a part in the boom. Beneath that, Abaci believes the dollars and cents just add up. The fact that so many people seem to be driving electric vehicles for cost reasons should be noteworthy to California, where the economic inequality of EV ownership has been a hot topic of late. A Climate Desk story has been making the rounds over the last week called “Your Electric Car Isn’t Making the Air Any Cleaner.” In it, author Lisa Margonelli points out that California’s rich zip codes buy more EVs subsidized by the state, while poorer zip codes still have outdated cars with worse emissions, contributing to smog and asthma clusters. Subsidies, it argued, should go to low-income residents who can’t otherwise afford an electric vehicle, not just to wealthy residents who already can. But with many owners claiming their EVs are nearly free, does Georgia have it figured out? Not entirely. For one thing, owning or renting a single-family home is still a major plus — if not an outright necessity — for electric vehicle ownership. Multi-family complexes, where lower-income families tend to live, may or may not have outlets near parking spaces. Aaron Bastian with the City of Atlanta says he has seen some owners of newer multi-family properties install charging stations, though he’s not sure how many provide them. 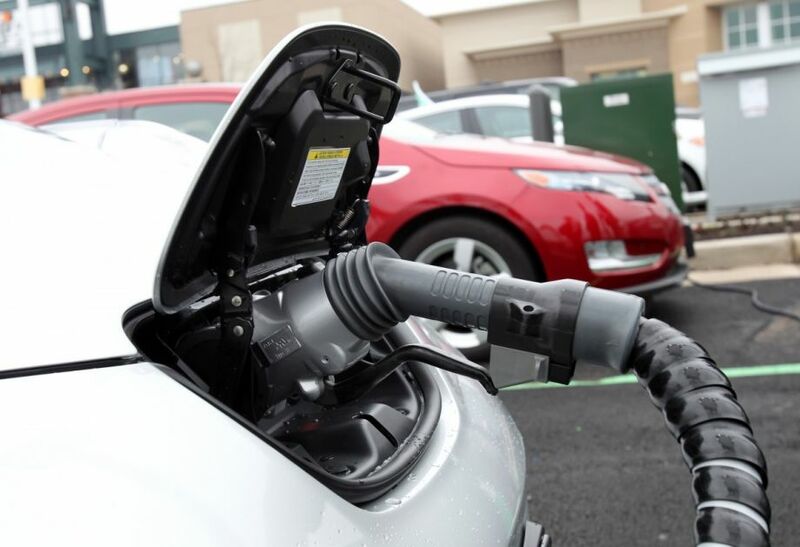 The city created an expedited permitting process for installing chargers, he says, and a guide for multi-family properties is available. So no, Georgia is hardly the EV utopia that progressive Cali can’t seem to achieve. But coupled with its unique climate and driving patterns, the hefty state subsidy is spurring EV adoption on economic grounds. The state legislature’s ongoing itch to kill it seems very unwise; the reasons might still be unknown, but the area’s electric vehicle market is racing ahead.